Much has been published and pondered about the "33" in the name. Here we present the two most common explanations behind the name, both seem quite reasonable, but we'll let you decide. Click here to visit the Myths & Rumors page! If you speak with a Disney executive or cast member, the name was derived based solely upon the address on Royal Street. Occam's Razor dictates that of the two competing theories, this explanation is the simplest and therefore the preferable. I had the honor of meeting Mr. Roger Craig who worked at the club when they first opened. As a young man, he worked his way up to Asst. Manager and then Manager. Quite an accomplishment. 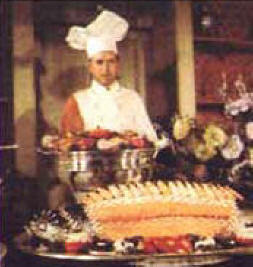 He also assisted in the opening of Walt Disney World in Florida. This photo was taken from the original membership brochure and the handsome young fellow wearing the Plaza Inn carving jacket (the Club carving jackets were not yet finished) is Mr. Craig. His history with the club is perhaps one of the most extensive I have found. Disneyland was quite an original concept for an amusement park, nothing like it had ever been attempted. The quality and details that Walt established would require extensive funding so investors were solicited from a number of major corporations. The investors would have the opportunity to advertise within the park, sponsor attractions and food retails, and promote their products. Walt knew that he would need a place to dine and entertain important guests and associates and he wanted them near his (and Roy's) small apartment above the Pirates of the Caribbean. He also realized that many dignitaries would be visiting the park and a more controlled, secure and elegant environment would be highly beneficial. With this in mind, the small club style restaurant began construction. Sadly, Walt passed away prior to it's completion and the club had no name. 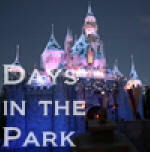 When the park was opened, there was a select number of lessee's who were the major sponsors of Disneyland. As the years progressed, some sponsors left, other were added. Here is a list of the Disneyland lessees from 1966-67. Count them and see what you come up with! As I review the list, it brings back a flood of memories. If you visited the park in the 50's, 60's and 70's, you'll recognize many of these sponsors. 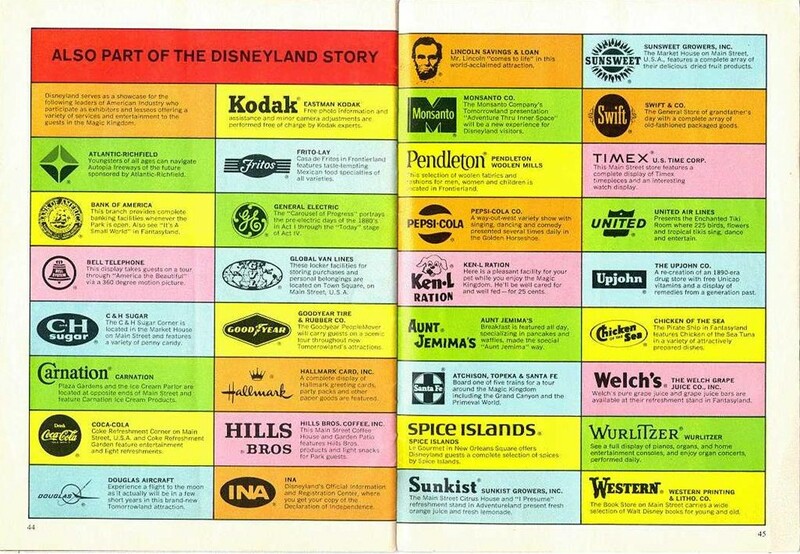 It was these 33 Disneyland sponsors from which the number '33' was conceived. So, there you have it! Thank you Mr. Craig and Mr. Ken Witworth! Mr. Witworth assisted us when this web site was first being built approx. 19 years ago and he still continues to be a vast and friendly source of information. The mystery of the '33' continues to this day and quite honestly, would you have it any other way?